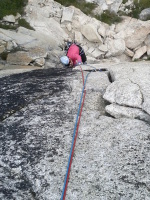 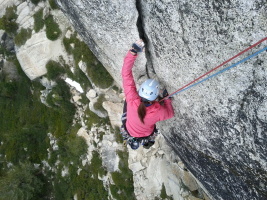 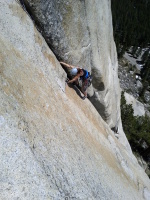 Melissa coming up the first pitch of Hoodwink. 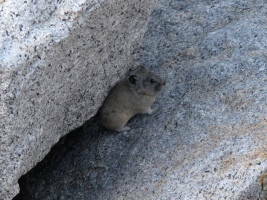 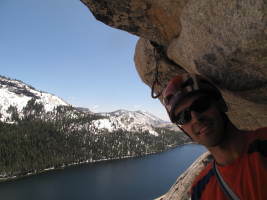 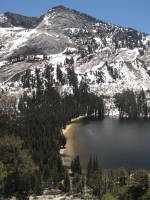 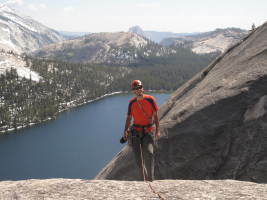 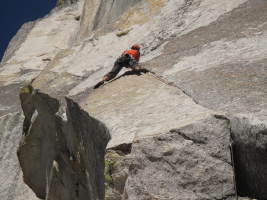 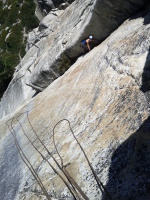 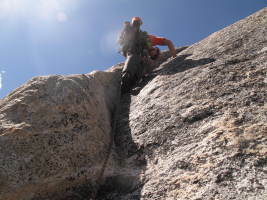 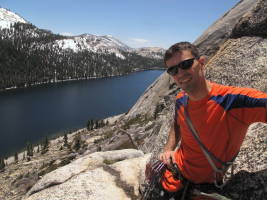 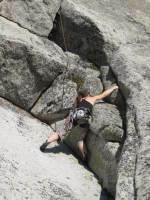 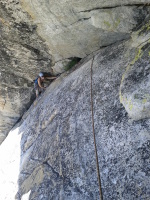 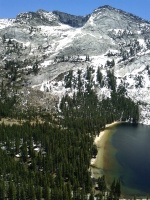 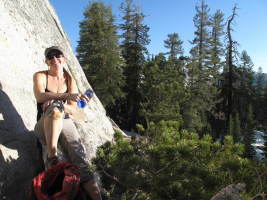 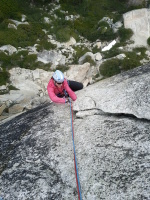 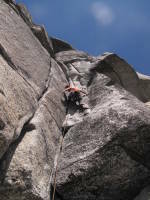 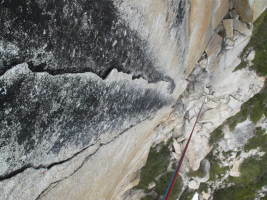 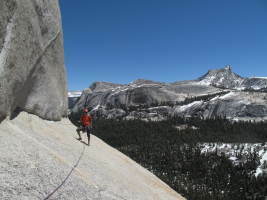 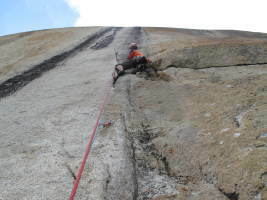 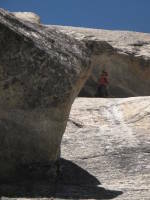 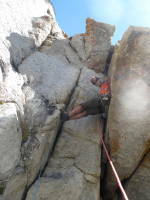 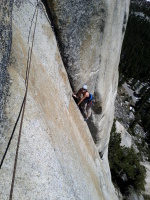 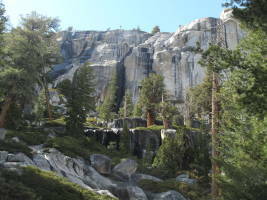 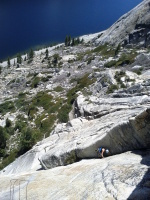 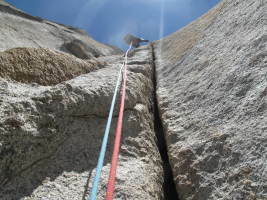 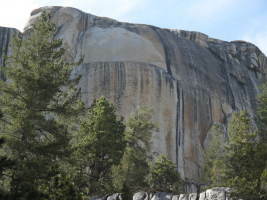 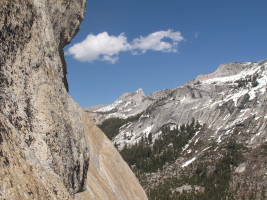 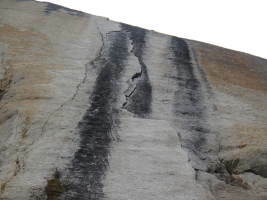 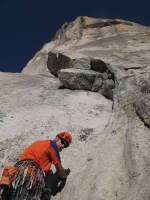 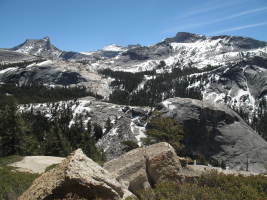 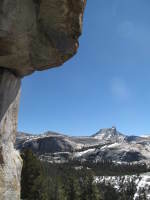 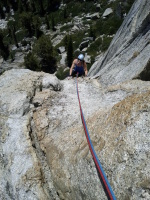 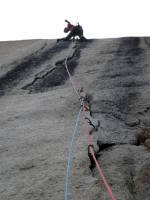 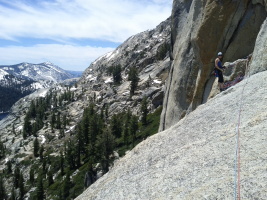 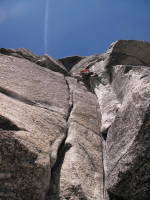 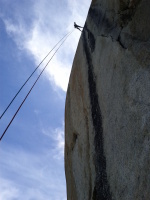 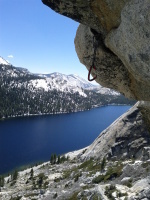 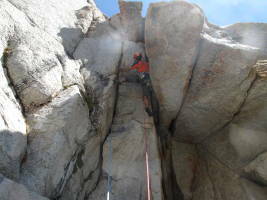 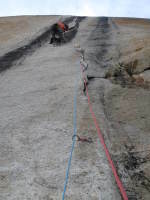 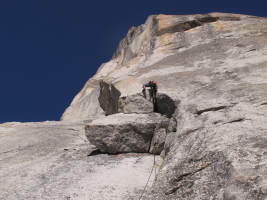 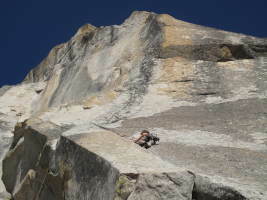 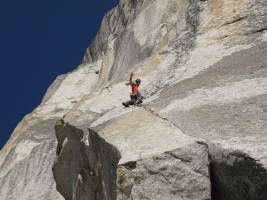 Ends with a glassy 5.9 traverse Climbs a bit like a mirror of Crescent Arch in Tuolumne Tenaya Peak/lake are beautiful! 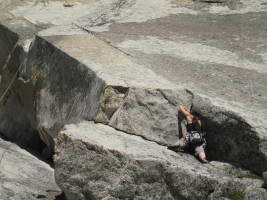 Starting up Bombs over Tokyo first pitch, my favorite finger crack ever Fun fun!